The long trek to the village of Jungutan, East Bali, the site of the Karangasem World Cultural Village Festival was well worth it. Indigineous groups showcasing traditional art performance. 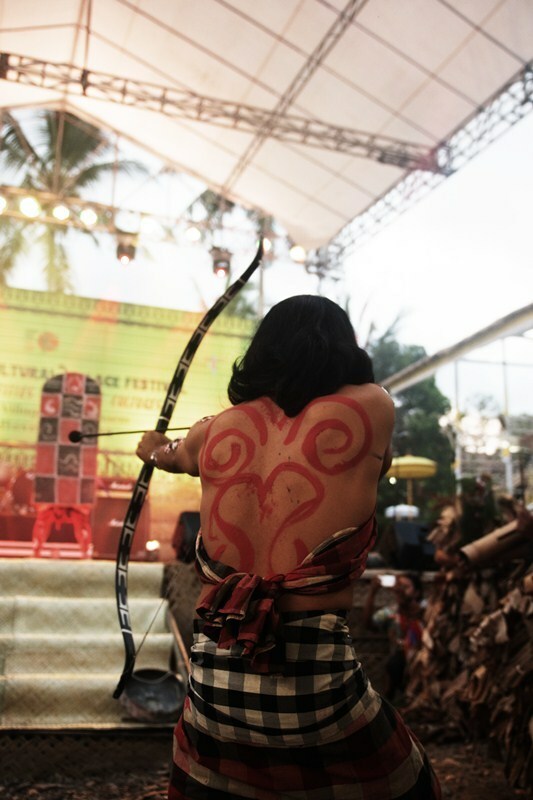 Art performance at Karangasem World Cultural Village Festival. 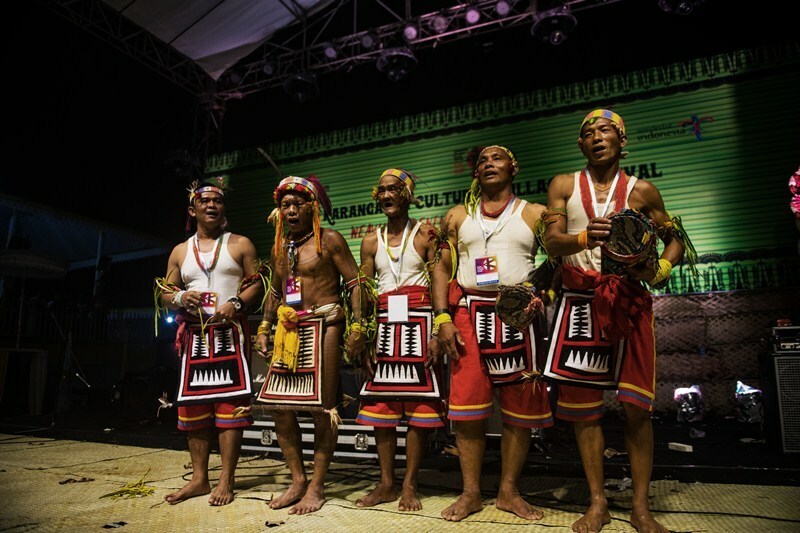 The festival was themed “Weaving Identities Celebrating Culture”. 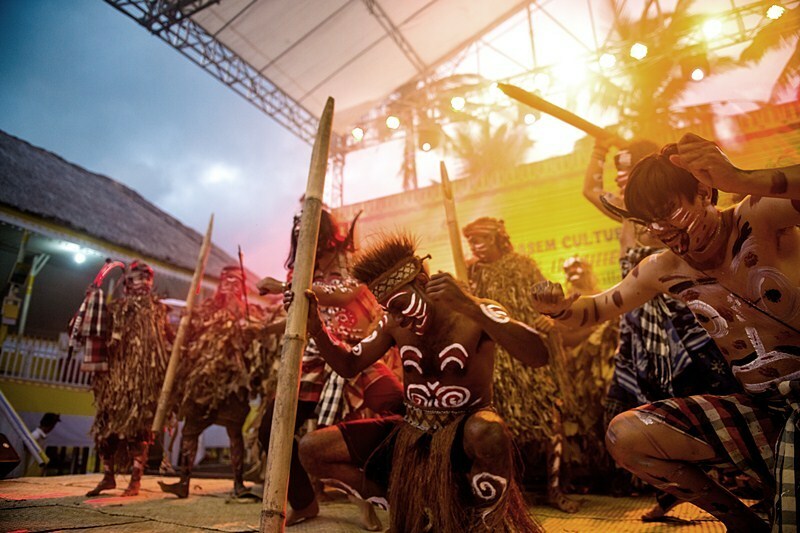 The focus was to create dialogue among different cultures and allow for a sharing of wisdom, customs, rituals, knowledge and performance combining local tribes with international tribes. 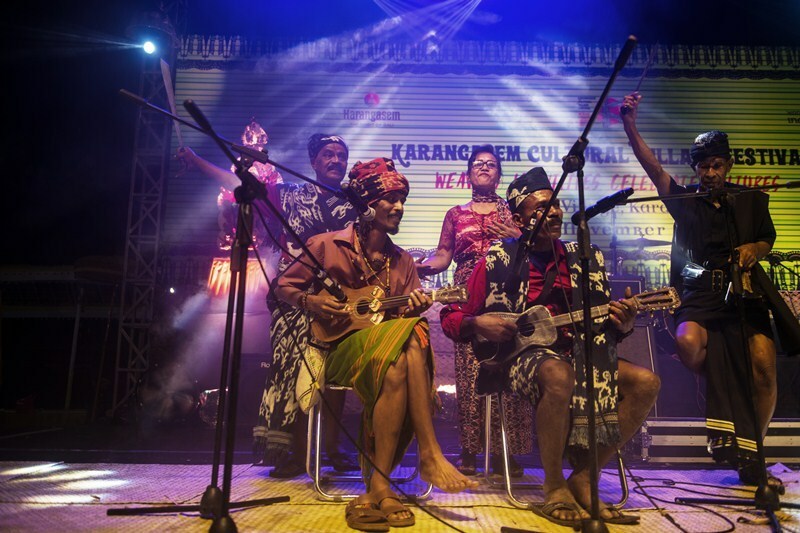 Hosted by the Government of Karangasem in conjunction with Karangasem Destination Branding activation program “Karangasem – The Spirit of Bali”, support also came from the Ministry of Tourism. The beautiful stage and venue at Jungutan Village was purpose built for a ceremony called Baligia Atama Wedana which took place between January and August, 2018. The ceremony involved 606 Puspa (souls of the deceased) which consisted of 86 Puspa Ida Pedanda, Puspa Walaka Besarta Sangge and 520 Companion Names (from other castes). The participants came from various regions in Bali and were supported by approximately 10,000 heads of families. The main purpose of the Baligia Atama Wedana ceremony was to offer sincerity and sacrifice, and to purify and glorify the spirit of the ancestors in the hope of reuniting to the creator, Ida Sanghyang Widi Wasa.